It seems as though life writing has never been more popular than it is at present, for reader and for writer. Gone are the days when 'biography' invariably meant a carefully researched volume on someone deemed to have historical or political significance or to be of literary merit, and to come complete with a daunting set of footnotes, references and a lengthy bibliography. Such biographies still have a very important role in life writing, but these days the field is much broader, encompassing everything from the ghostwritten autobiographies of celebrities and sports stars to so-called 'misery memoirs'. Many people want to write about someone's life, perhaps their own, and there are courses to suit every level of interest, from university masters degrees to local college qualifications. 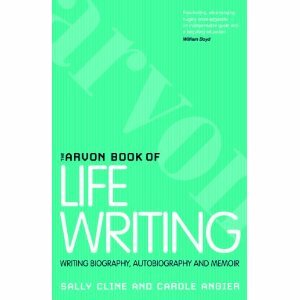 Sally Cline and Carole Angier, both successful biographers in their own right, have for some years run a popular and successful course on life writing for the Arvon FoundationThe celebrated Arvon creative writing courses cover four and a half days and range from Novel Writing to Starting to Write. Some grants are available. (http://www.arvonfoundation.org) at Lumb Bank. This book is an attempt to transfer that course to paper for those who can't attend in person. As such, the book has been structured to mimic an Arvon course as much as possible, with the team teaching of Cline and Angier accompanied by the contributions of 'guest writers', plus exercises for the aspiring writer to carry out. As the authors note, to teach creative writing is to have a conversation during which writing is shared and compared, and this book attempts to reproduce those conversations as much as it possibly can. As Anthony Sher has commented, 'Nothing is more interesting than people's lives.' However, to try to tell the story of someone's life is to have to deal with the fact that life writing is seen as somehow second-class, neither a proper act of creativity, as with writing a novel, nor a proper historical endeavour, even if it is exhaustively researched. The biographer, as Virginia Woolf noted, ends up somehow 'betwixt and between'. However, as Cline and Angier show, life writing is challenging in other ways. Some regard biography as an invasive and undesirable intrusion into privacy; the writer must always be keenly aware of an assortment of ethical issues, with the threat of either an overly controlling subject or libel proceedings lurking in the background. However, at the heart of any life writing lie the twin issues of truth and objectivity. How does the writer deal with the fact that, at best, any account of a life is partial, shaped by the availability of material, the potentially unreliable memories of subjects and witnesses, the potential need to suppress or carefully censor material so as not to unnecessarily distress the living. Archives can be incomplete, documents are not necessarily reliable. Authors have been known to carefully construct archive smokescreens, while Cline tells a story that suggests a scholar either stole or misfiled material to frustrate later researchers. Writers' individual approaches vary. Angier seems to favour a certain distance from a character while Cline sees herself as rescuing lives through acts of empathy. Both are equally valid but different methods suit different temperaments. Nonetheless, both writers are clear that the life writer has a responsibility to the truth, however they choose to present the facts. As tutors, Cline and Angier are keen to show the myriad ways in which life writing has been handled and offer a fascinating survey of the history of biography. This is followed by personal stories and advice from thirty-two exponents of life writing, talking about their various experiences in trying to write biography or memoir, touching on many of the issues raised by Angier and Cline in the first part of the book. Finally, Cline and Angier provide a brisk and helpful guide on how to set about writing a life story, touching on such issues as choosing a suitable subject, planning a biography, carrying out research and, once again, how to keep in mind the ethical issues contingent in such writing. Its practicality neatly counterbalances the theoretical underpinnings of the earlier sections. In all, if you are contemplating writing a biography or a memoir, this book is an invaluable guide to the philosophical and practical pitfalls of life writing. It is a sensible account of life writing from experienced practitioners of what is both art and craft, and I recommend it!